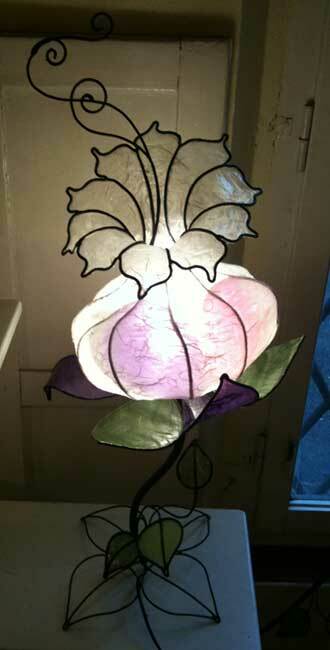 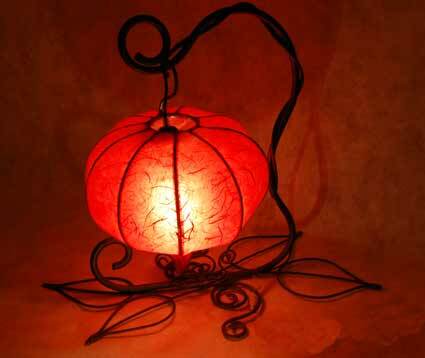 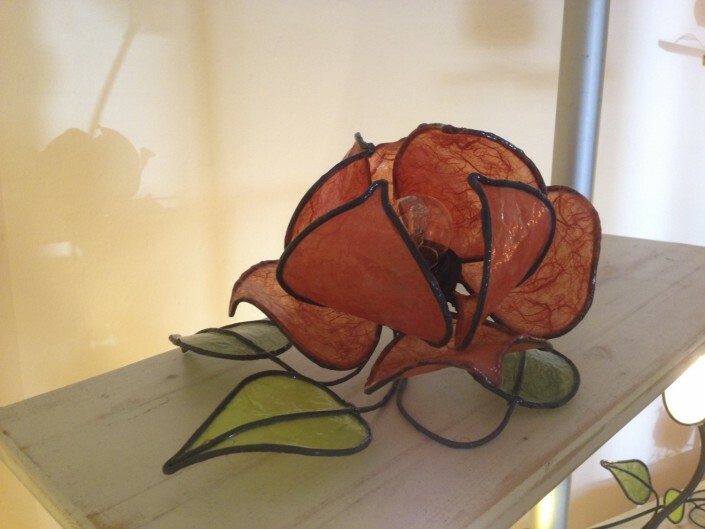 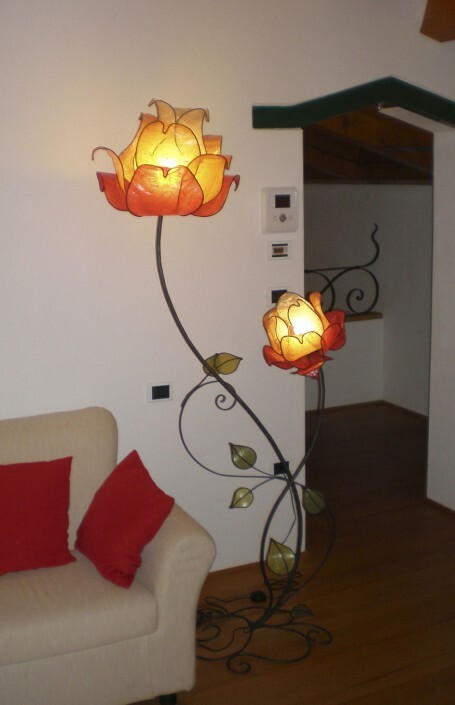 Flower of Rose, floor lamp. 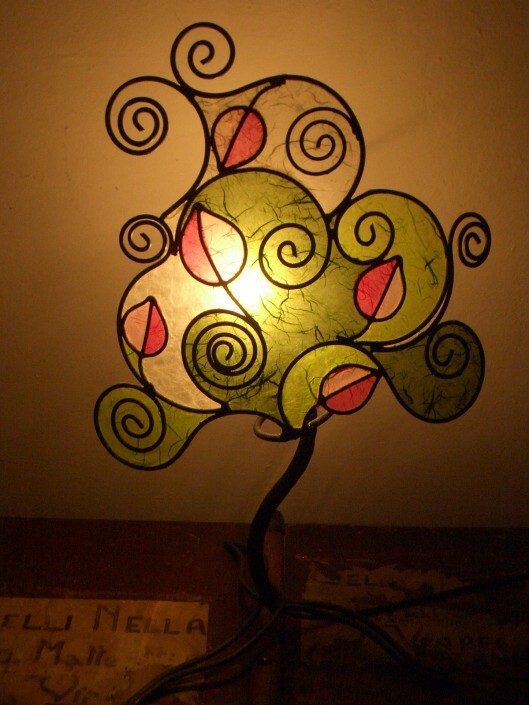 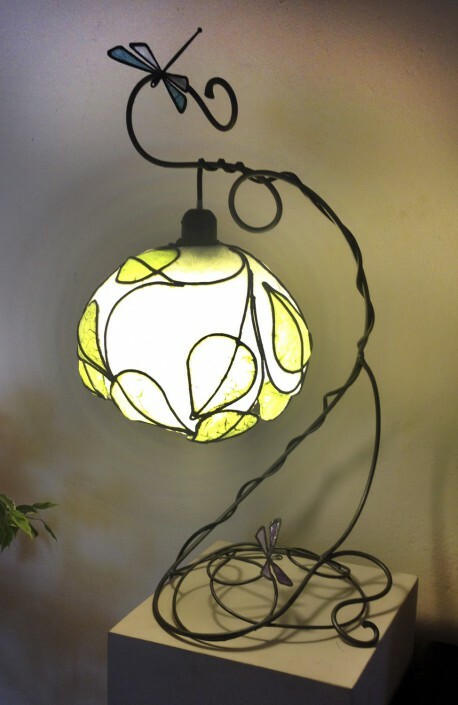 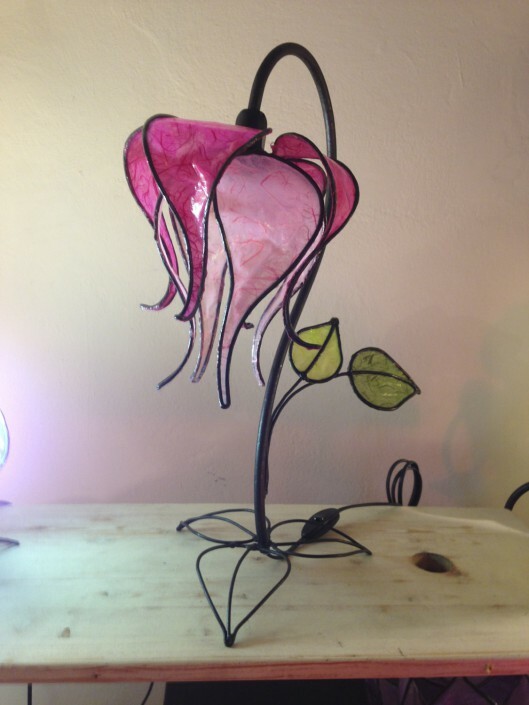 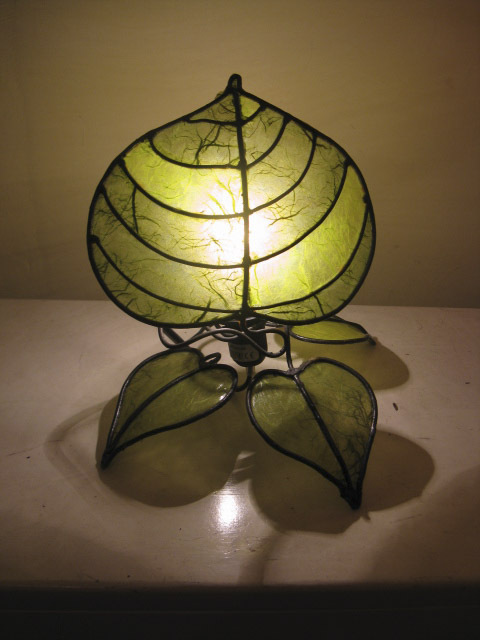 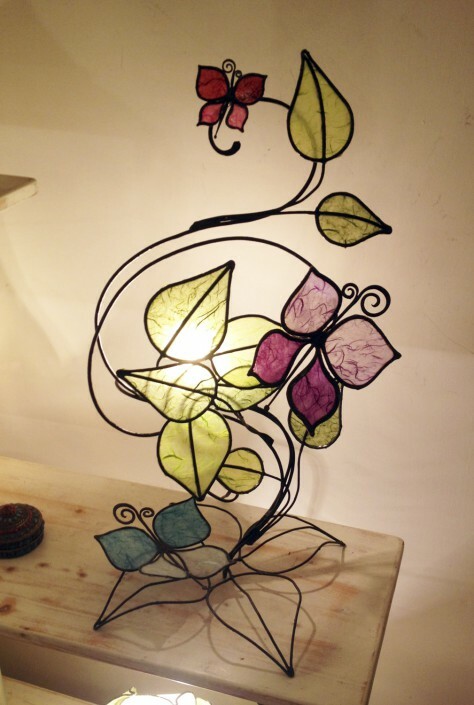 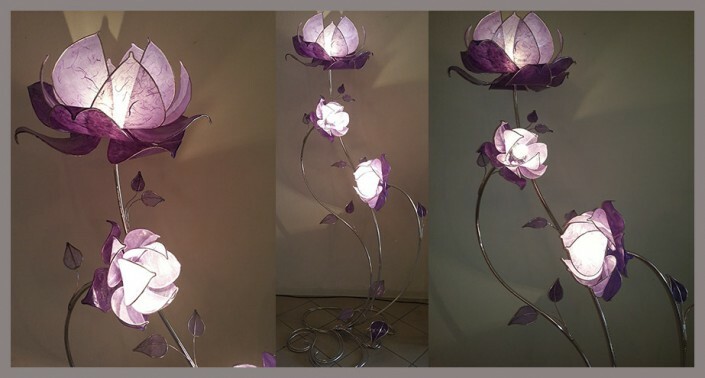 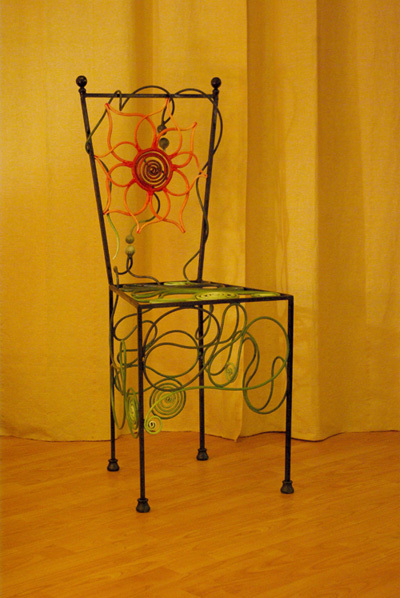 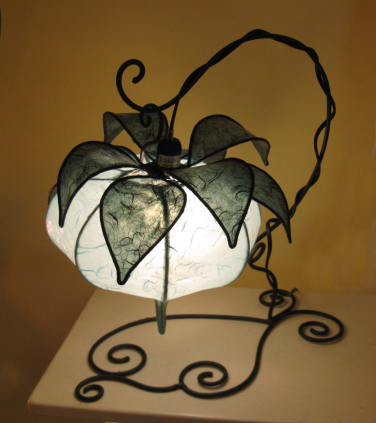 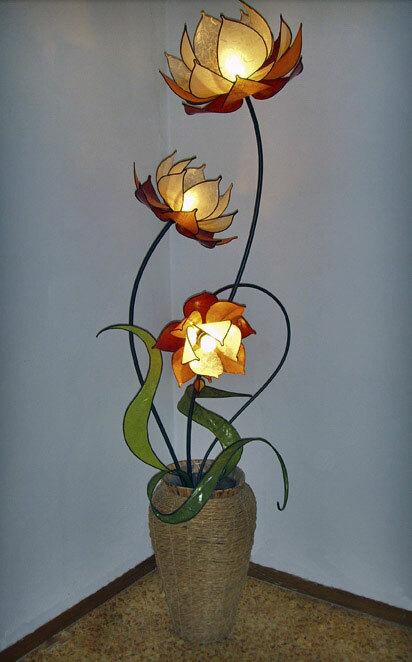 Flower of “Tuli”, floor lamp. 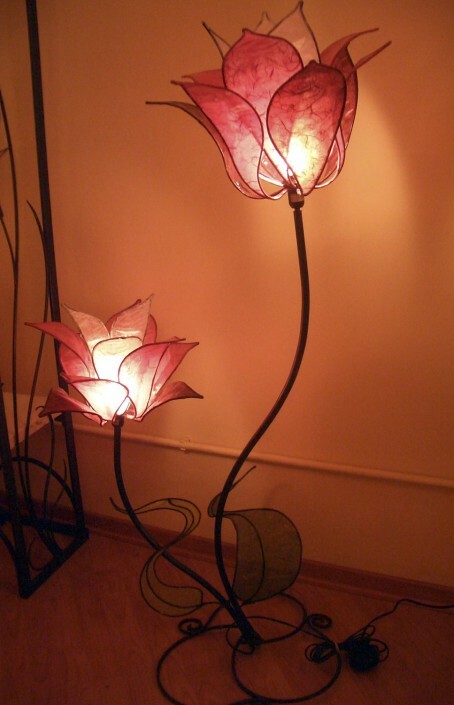 Lotuses with pot, floor lamp. 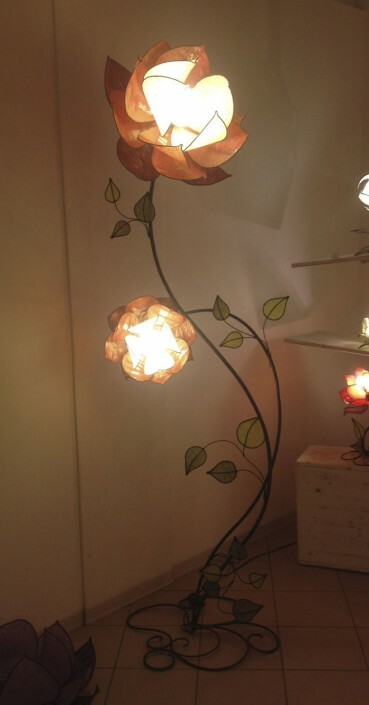 Floor lamp of flower buds. 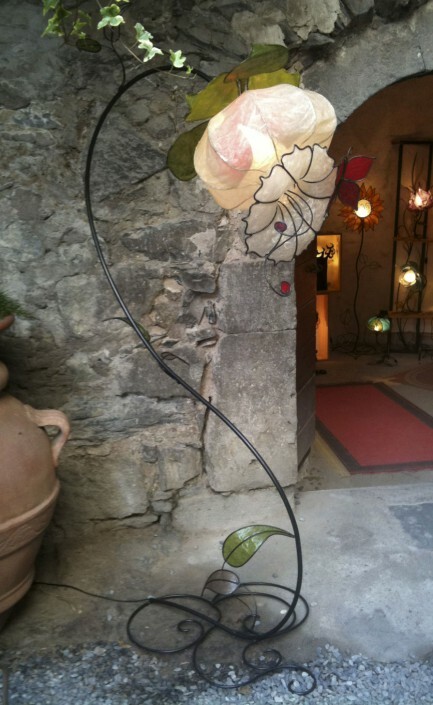 Curved flower bud, floor lamp. 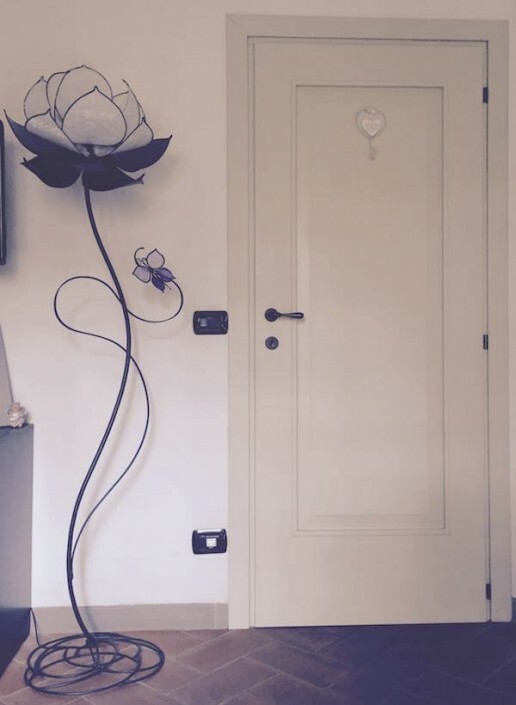 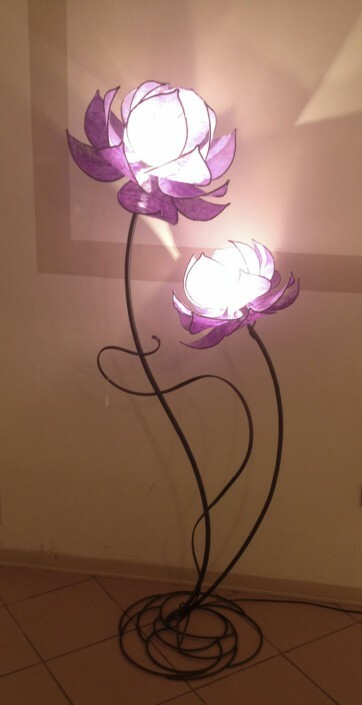 Luma, floor lamp with two flowers. 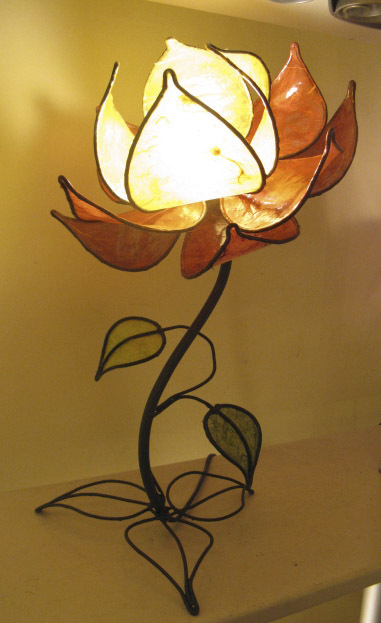 Big flower bud, table lamp. 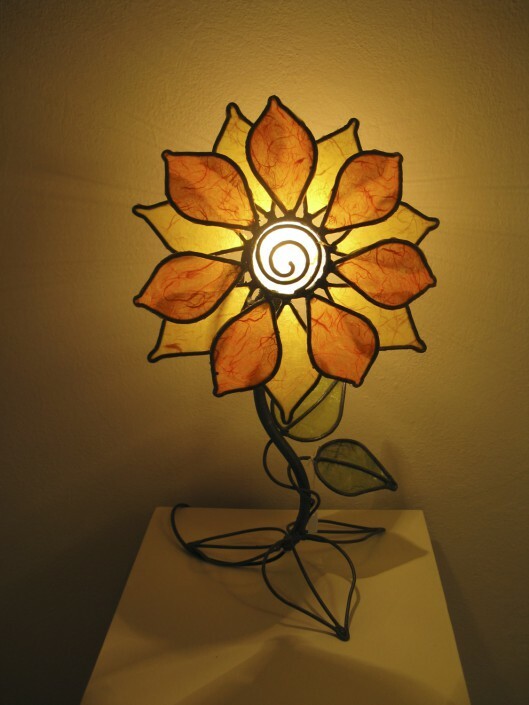 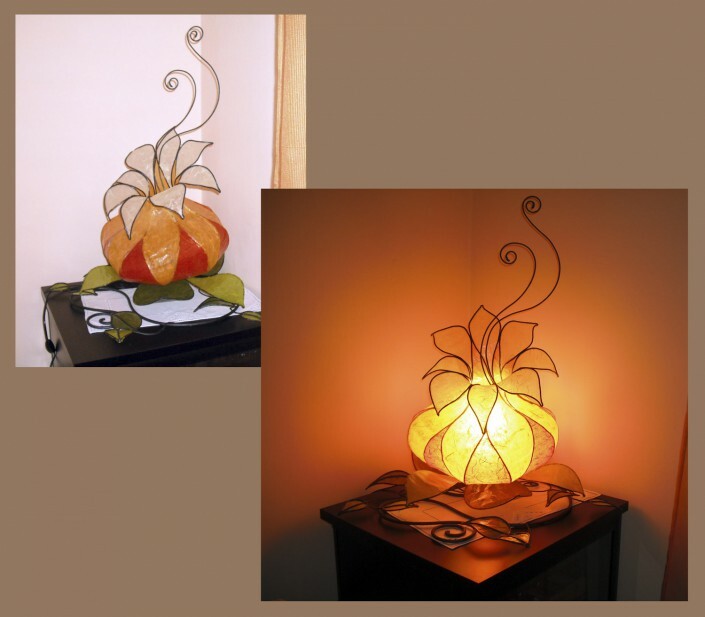 Luma flower curved, table lamp. 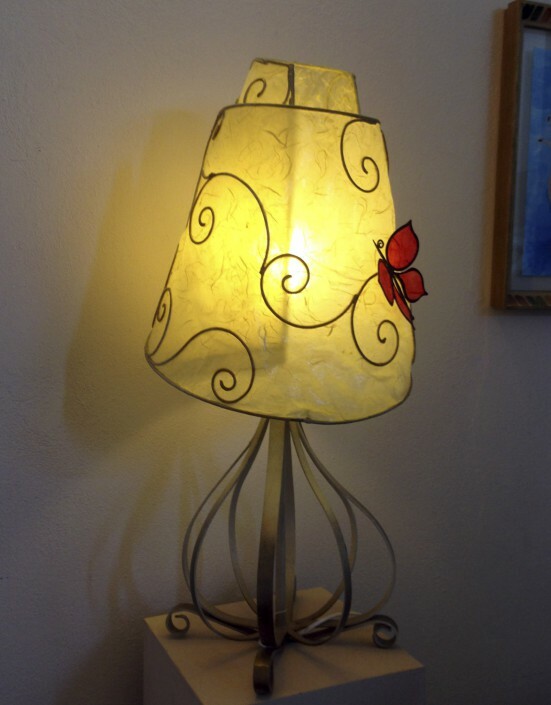 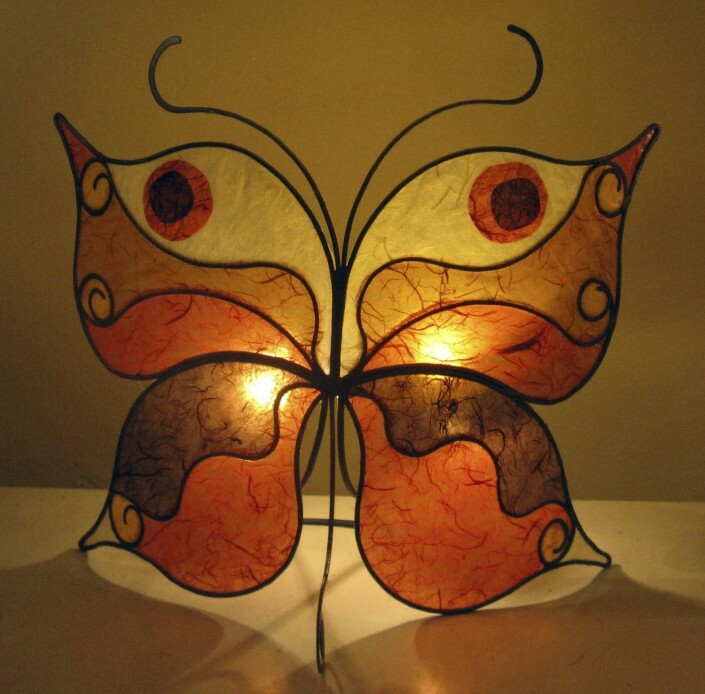 Branch with butterflies, table lamp. 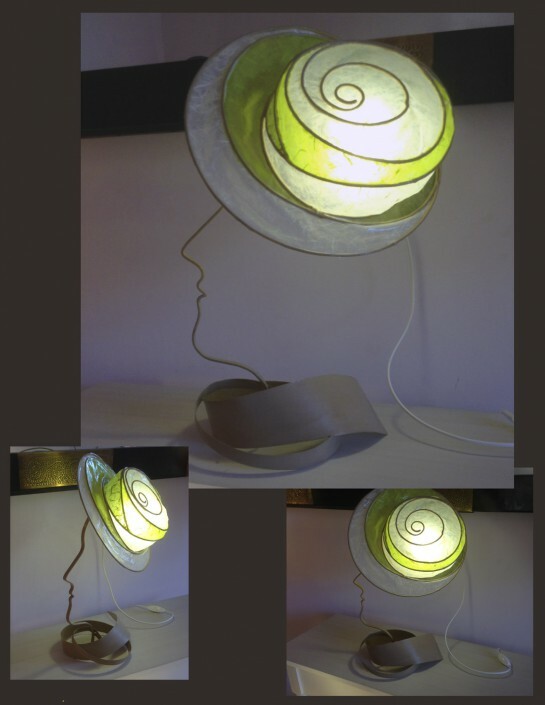 Profile with hat, table lamp. 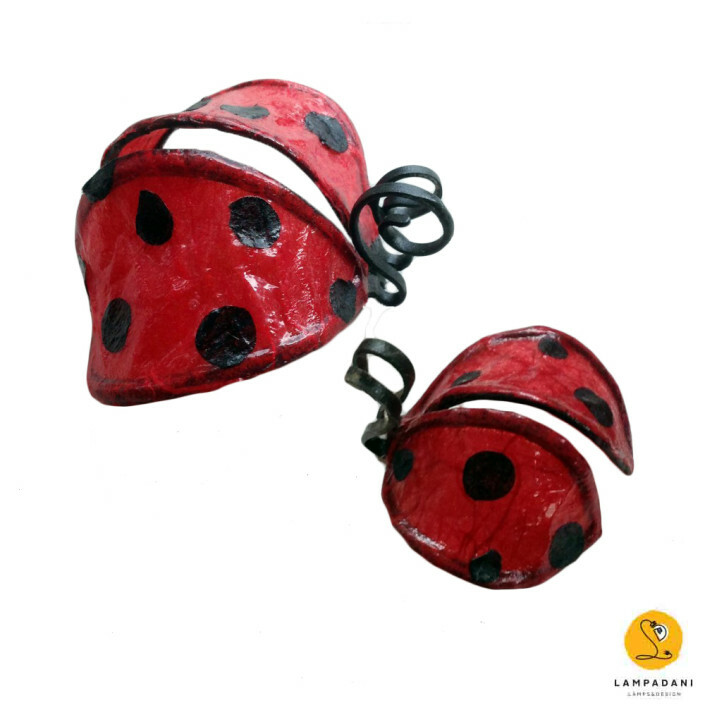 The LampaDani’s magnetic creatures: ladybug magnet. 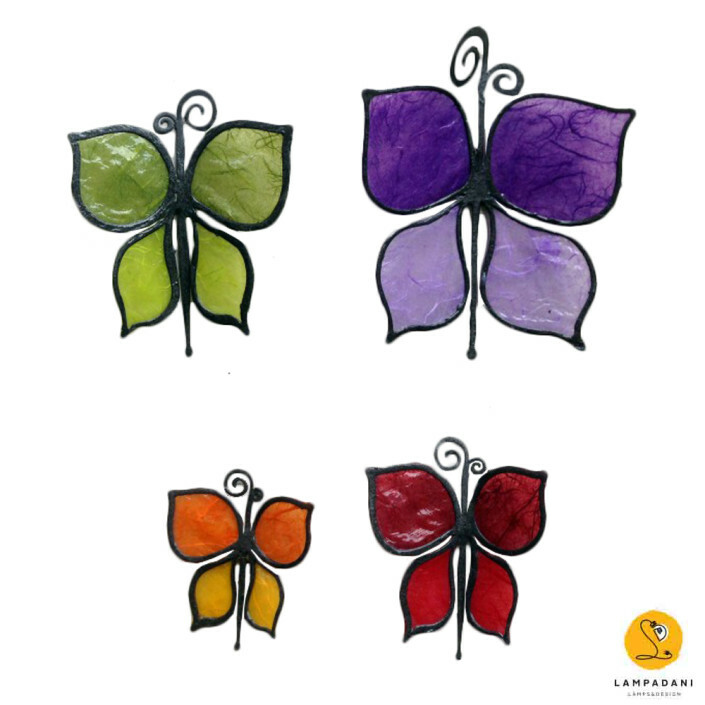 The LampaDani’s magnetic creatures: butterfly with magnet. 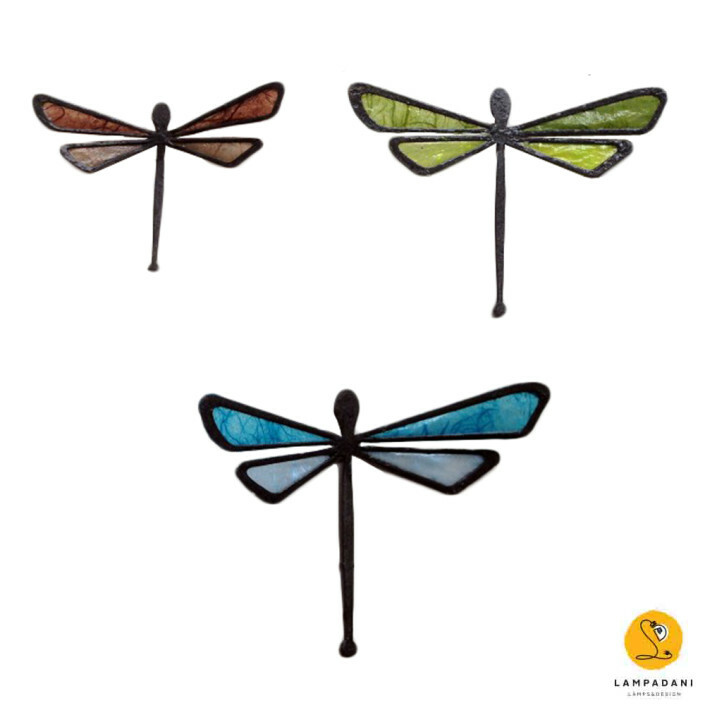 The LampaDani’s magnetic creatures: Dragonflies with magnet. 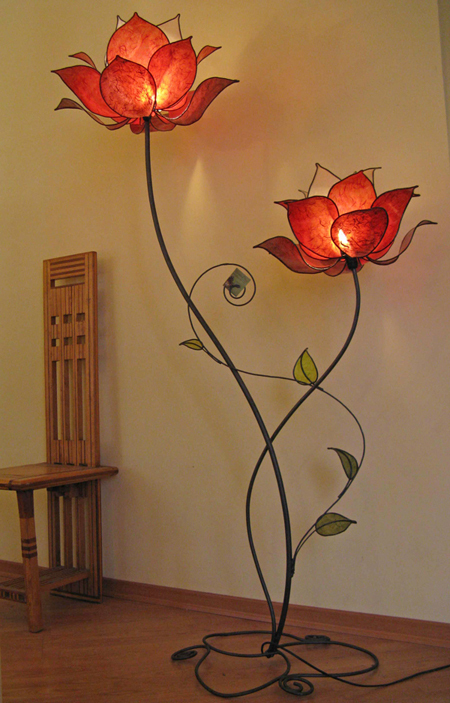 Branch with lotuses, frame and wall lamp mirror. 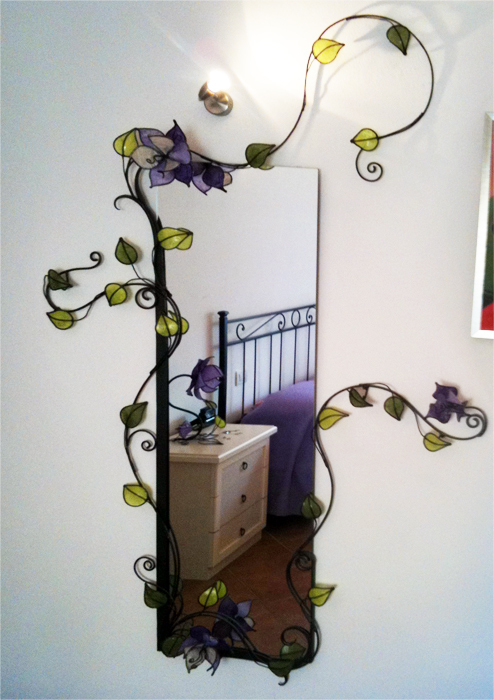 Portal, wall mirror with bright flowers. 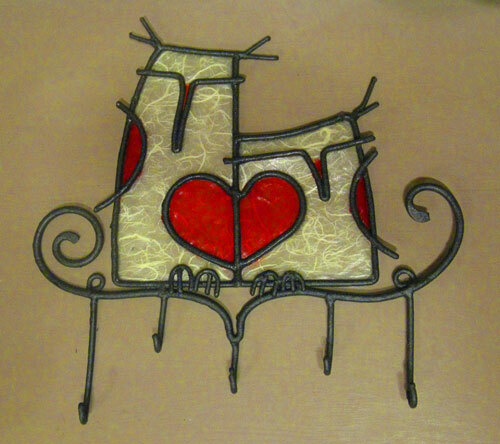 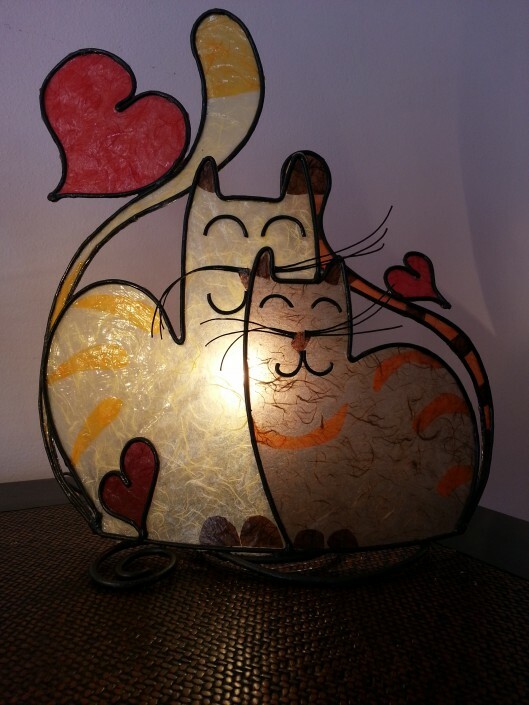 Cats in love, table lamp. 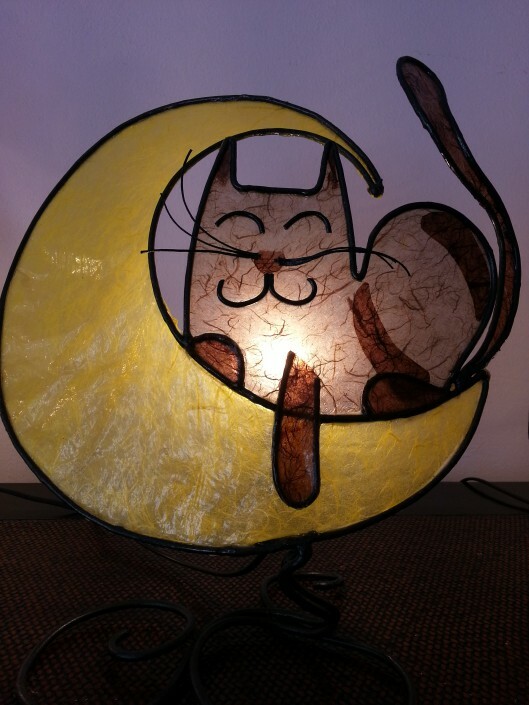 Kitty on the moon, table lamp. 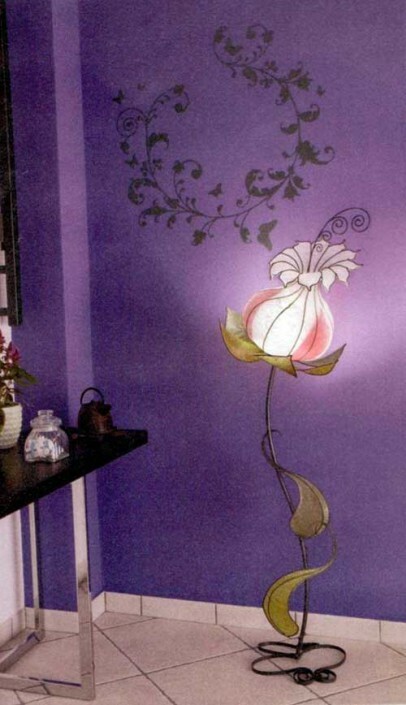 Lotus flower creeper, wall lamp. 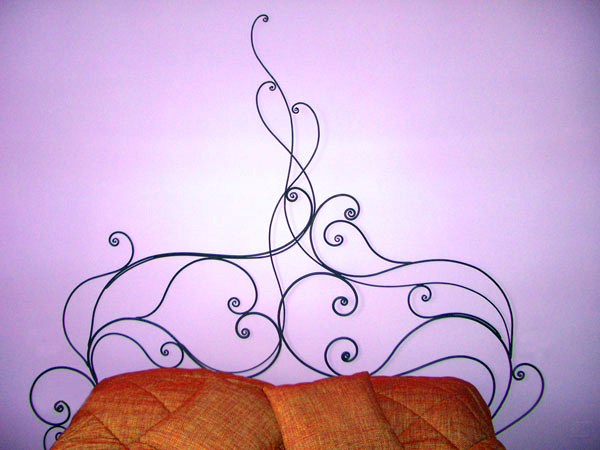 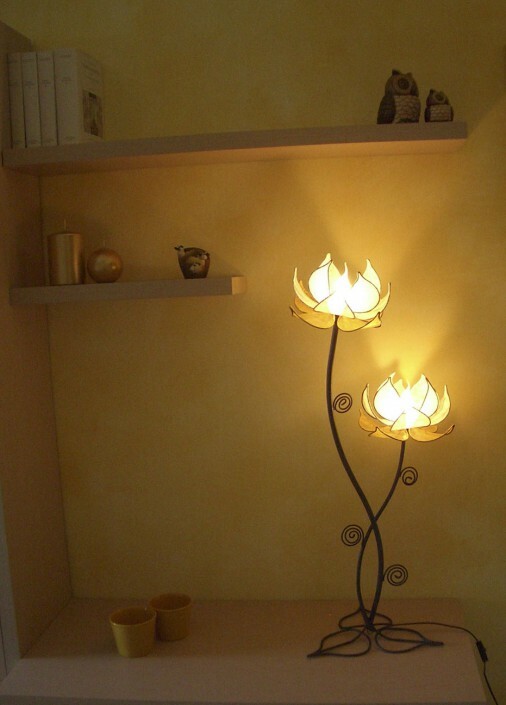 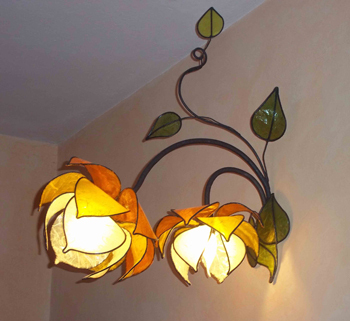 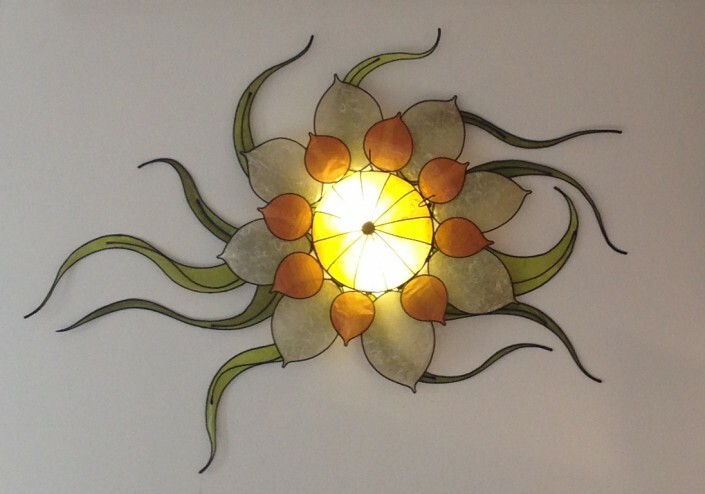 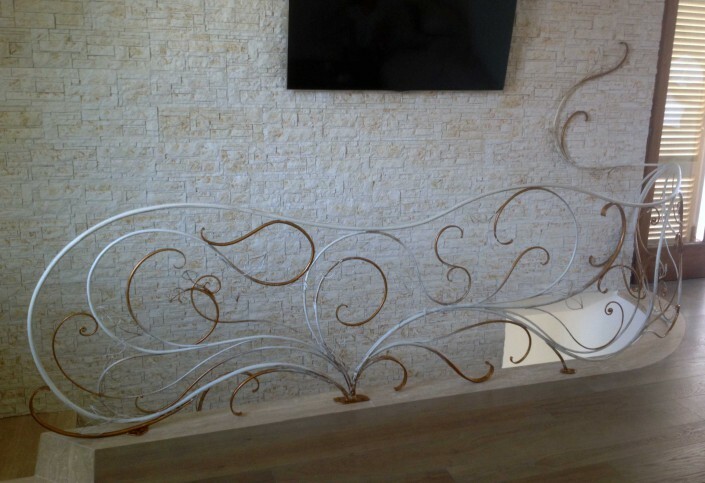 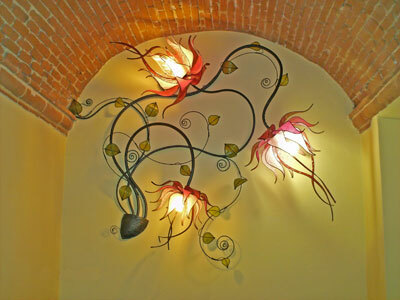 Branch with lotuses, wall lamp. 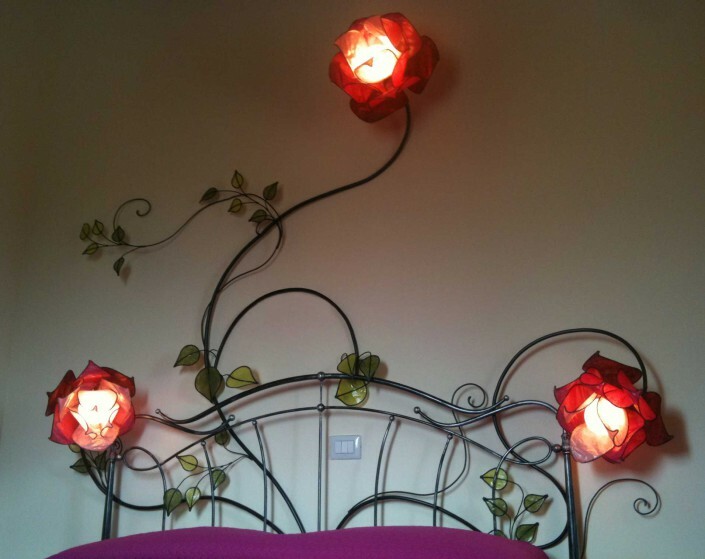 Creeper with roses flower. 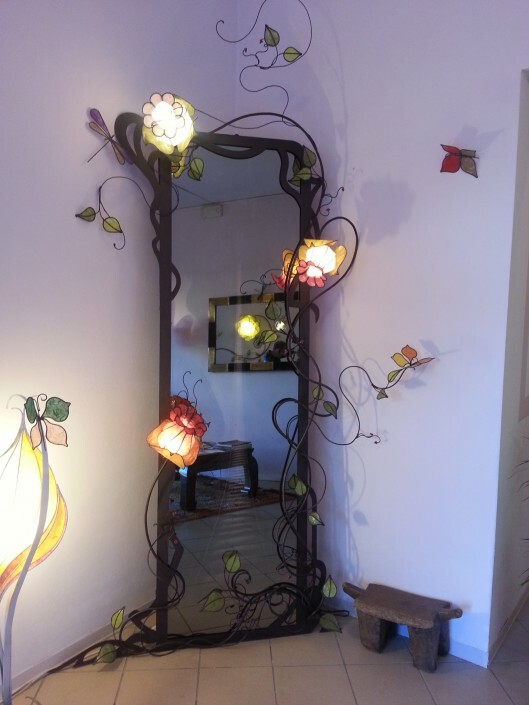 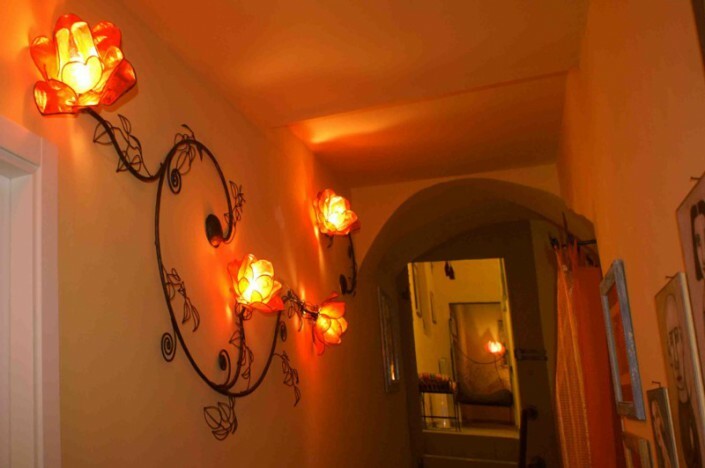 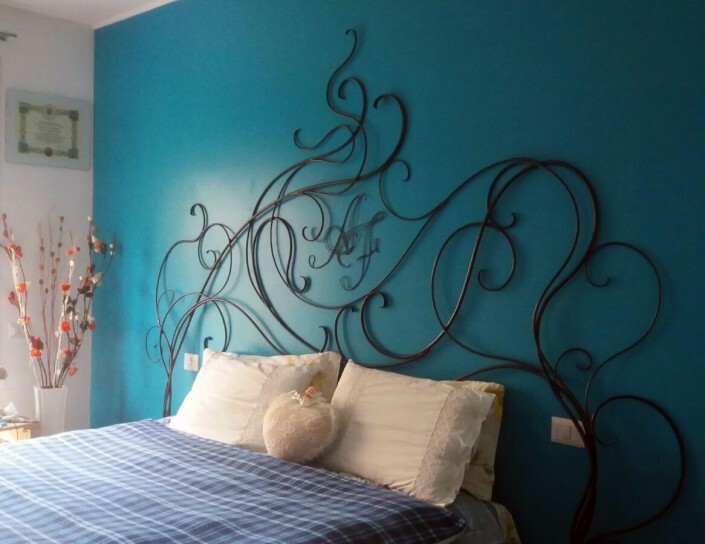 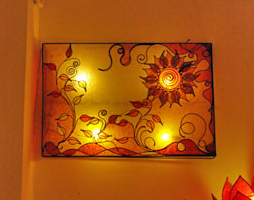 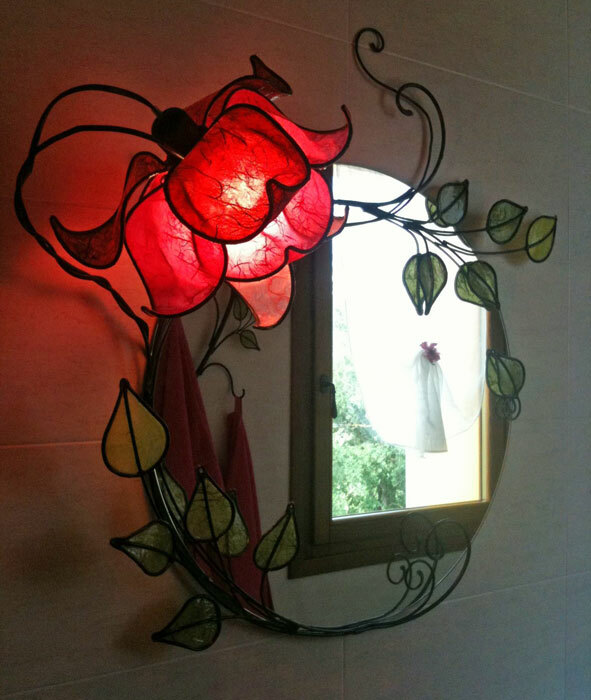 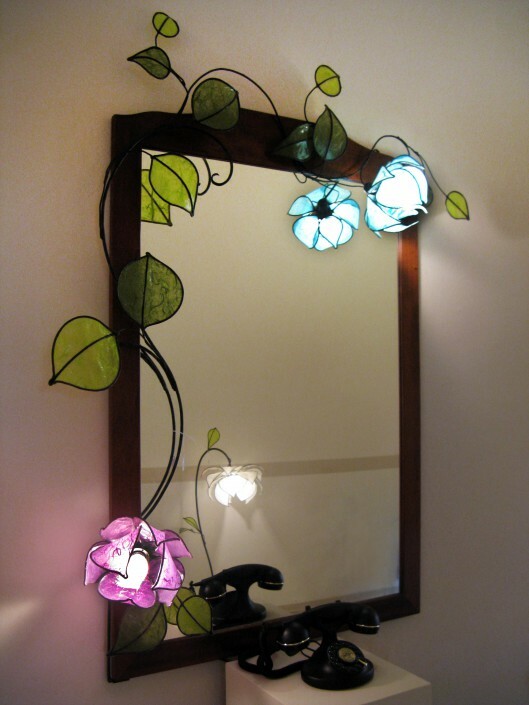 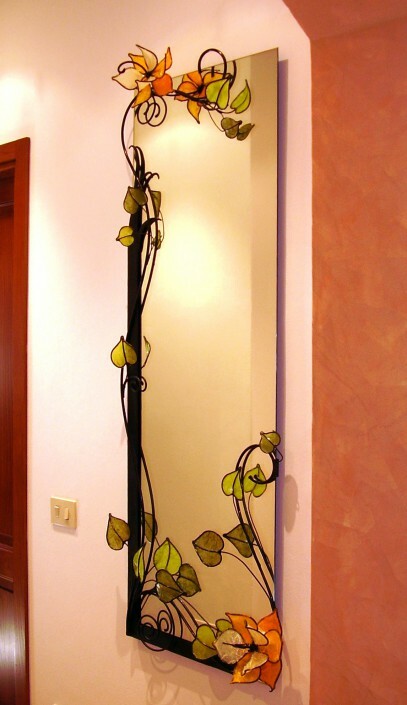 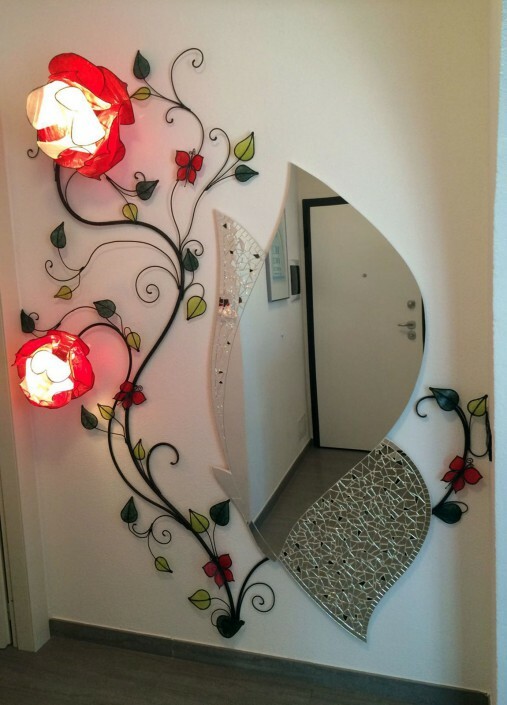 Decoration and wall lamp for mirror. 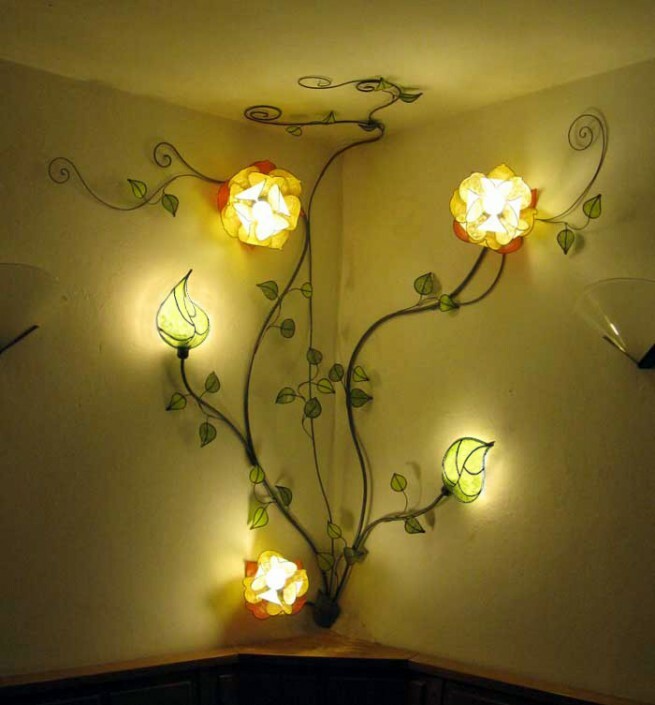 Blossomed creeper, wall and ceiling lamp. 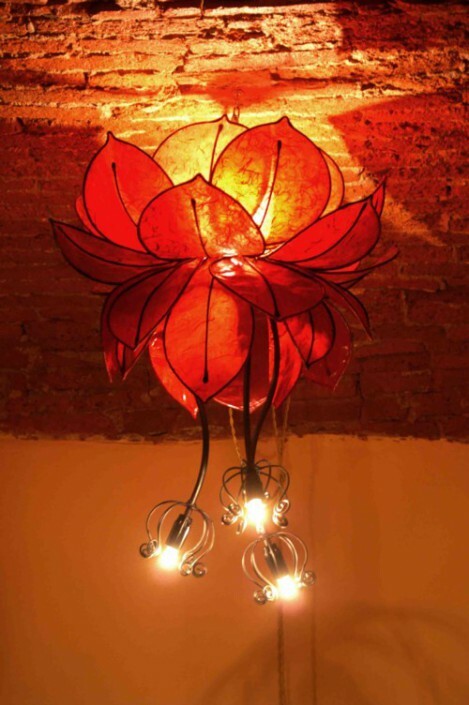 Lotus on branch, ceiling lamp. 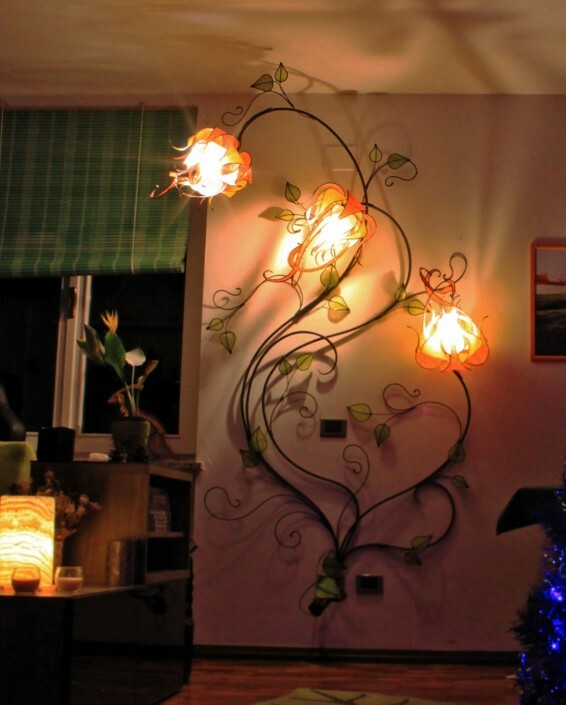 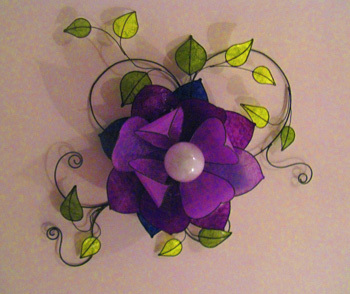 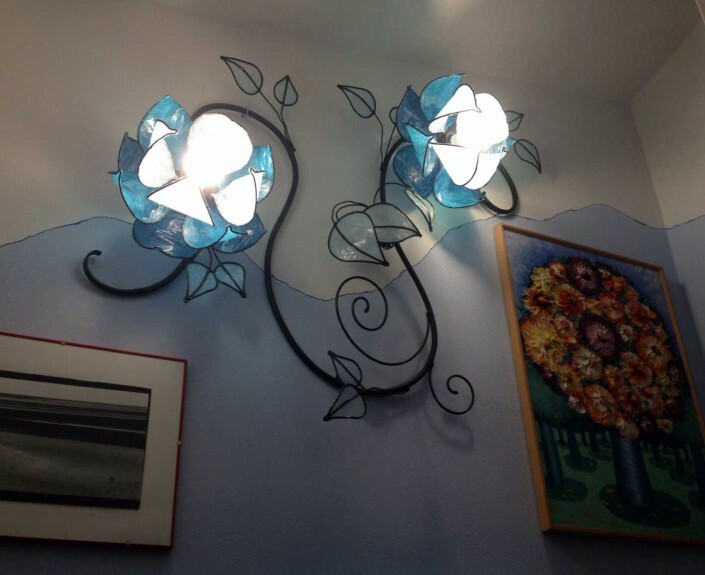 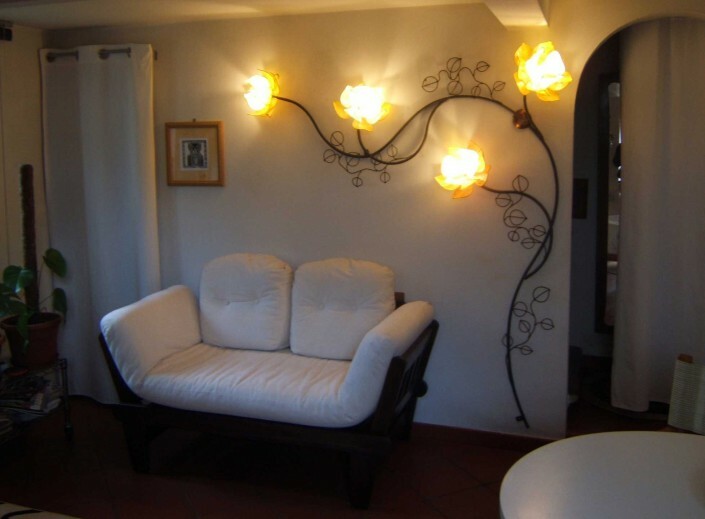 Three “Luma” flowers on branch, wall lamp. 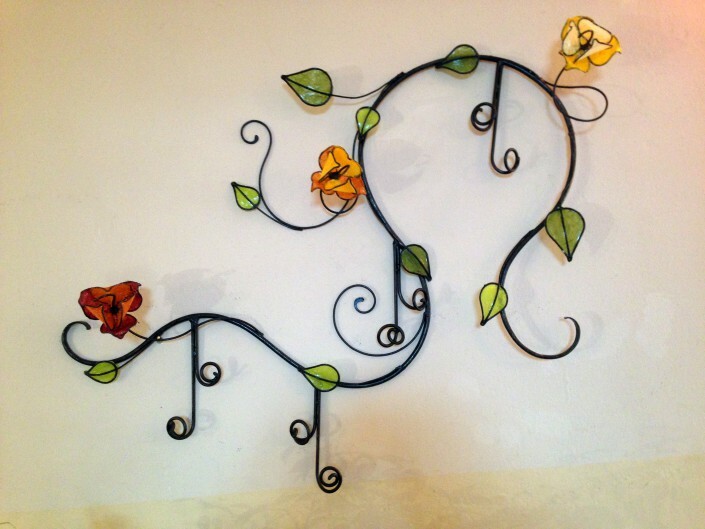 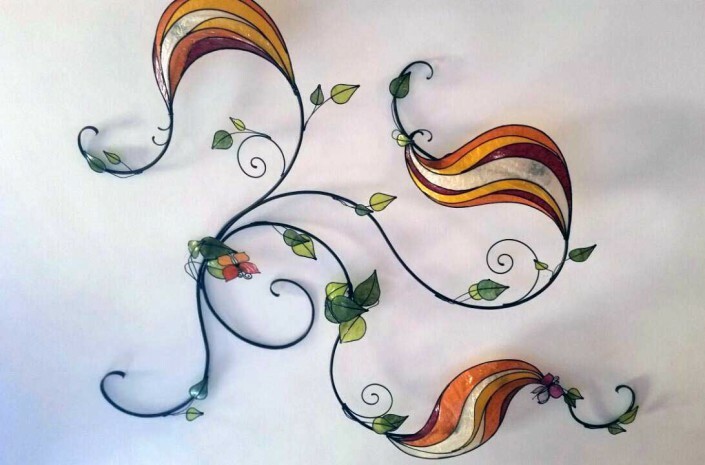 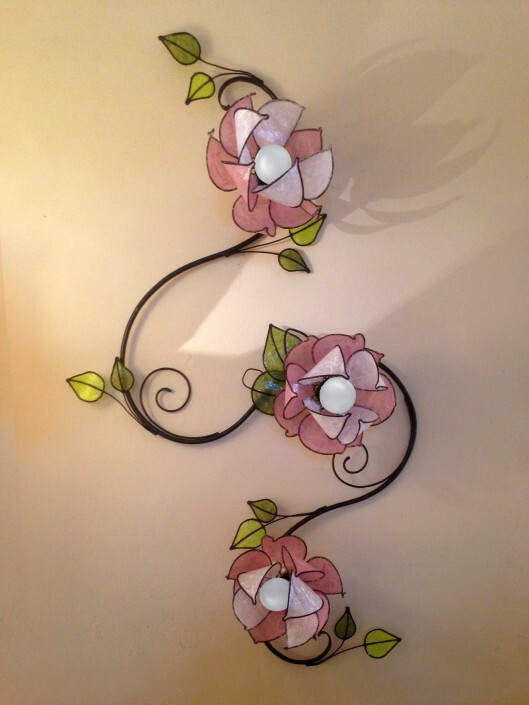 Rose garden trellis, wall lamp. 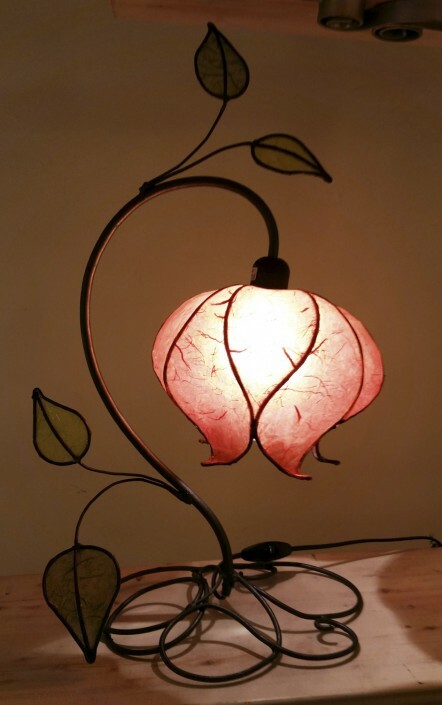 Table lamp, blue winter cherry. 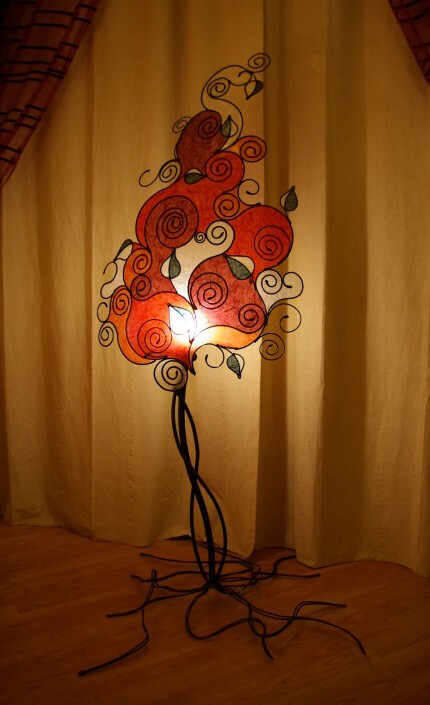 Table lamp, red Winter Cherry. 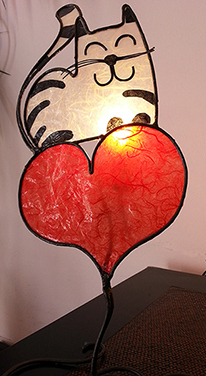 Amilcare, Table lamp owl shaped. 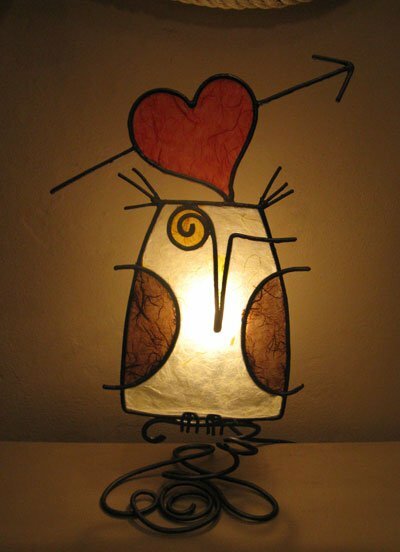 Arturo, Table lamp owl shaped. 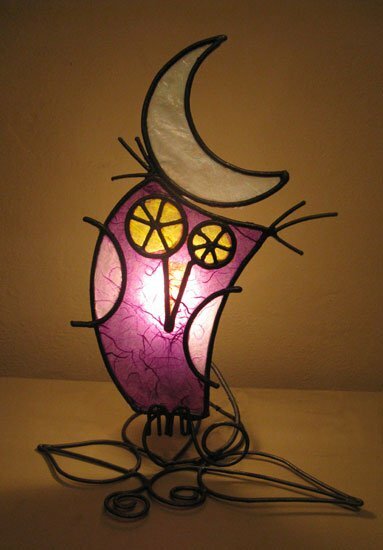 Astolfo, table lamp owl shaped. 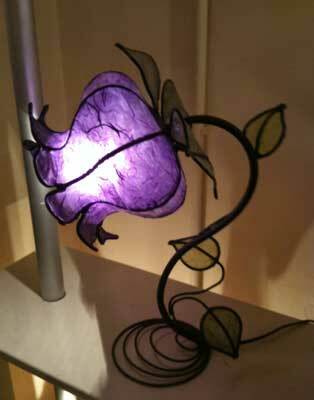 Table lamp, curved little bud. 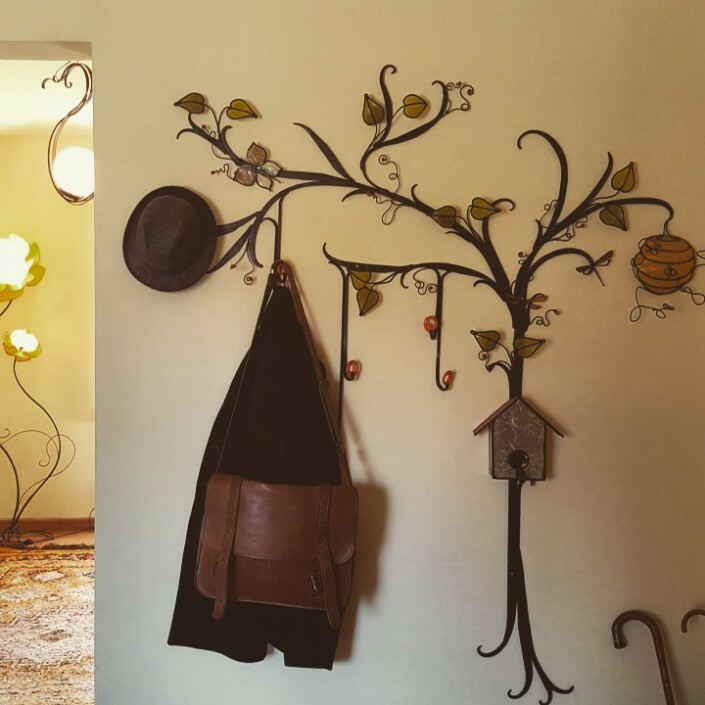 Clara and Maciste, pair of owls with key hooks for wall. 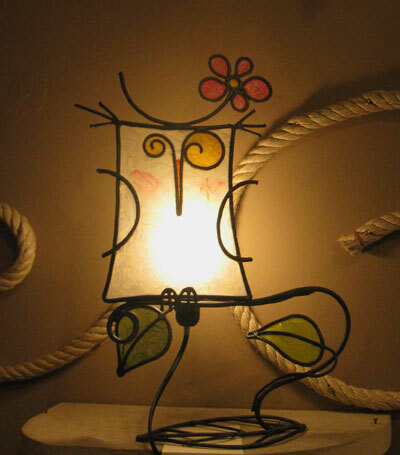 Fiorella, table lamp owl shaped . 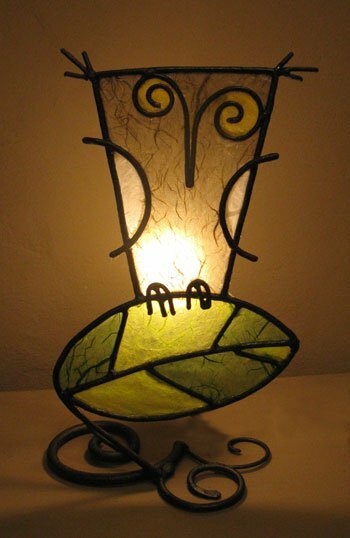 Gesilao, table lamp owl shaped . 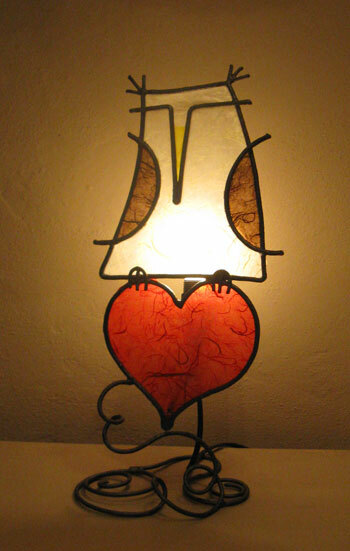 Gilda, table lamp owl shaped . 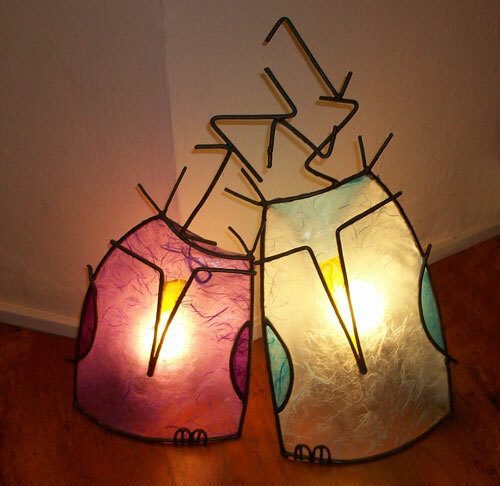 Owls asleep, pair of table lamps in the shape of an owl. 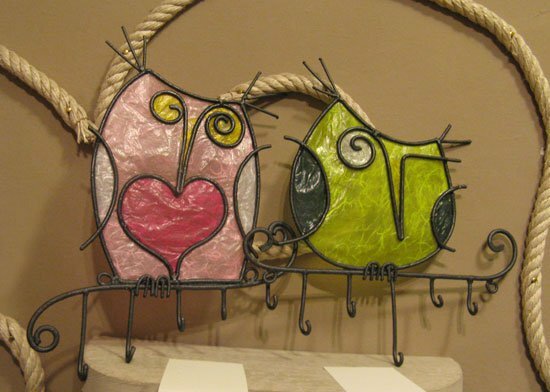 In love owls, pair of owls with key hooks for wall. 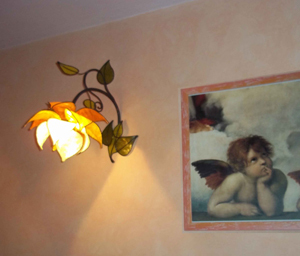 LampaDrago in the clouds, wall lamps. 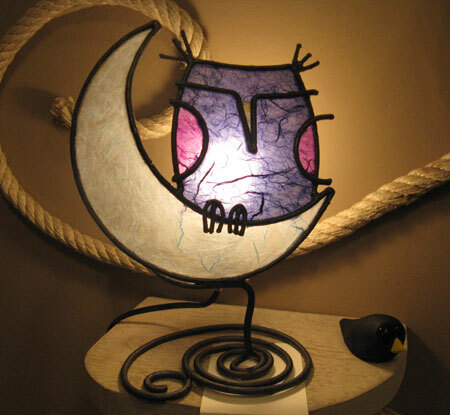 Matilde, table lamp in the shape of an owl. 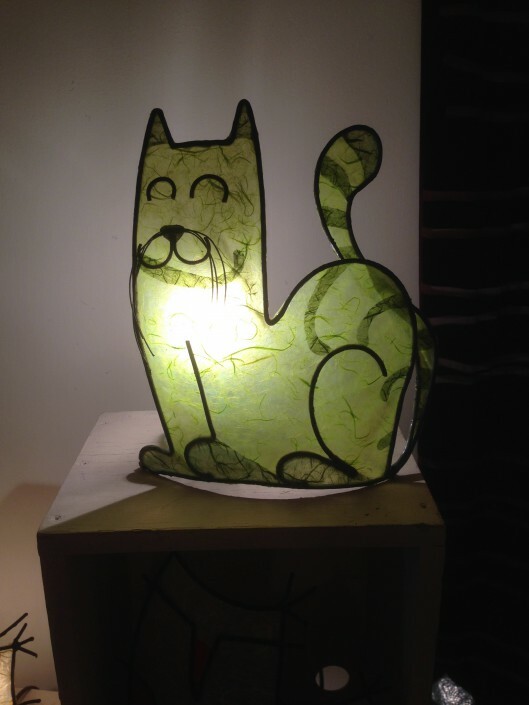 Cat on the heart, table lamp. 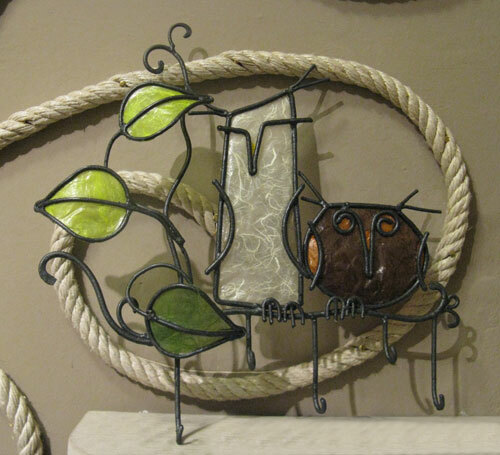 Zigo Zago, pair of owls with key hooks for wall. 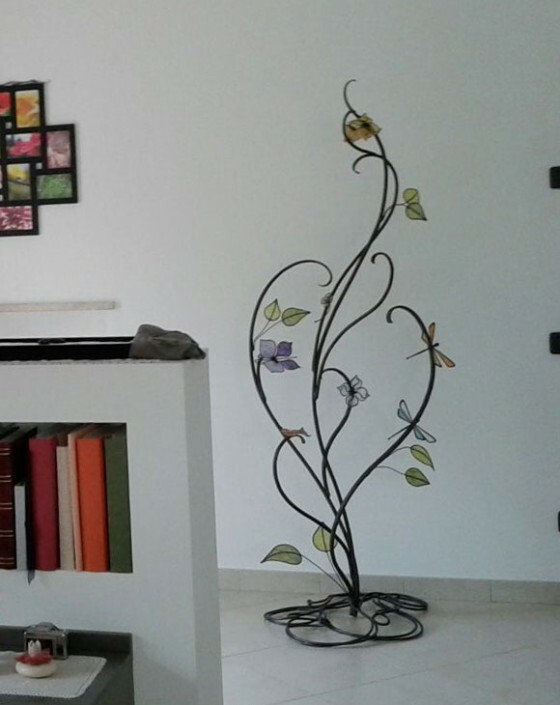 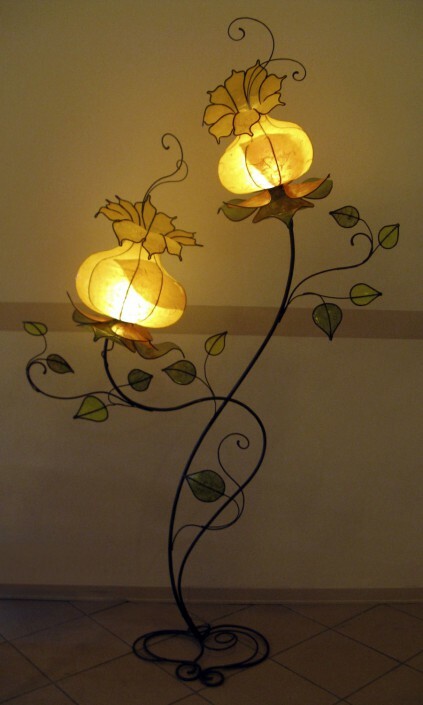 Floor lamp with two Tuli flowers. 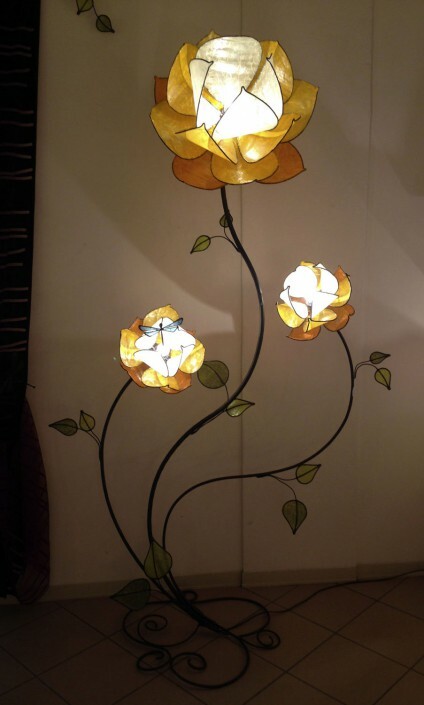 Floor lamp with three roses flowers. 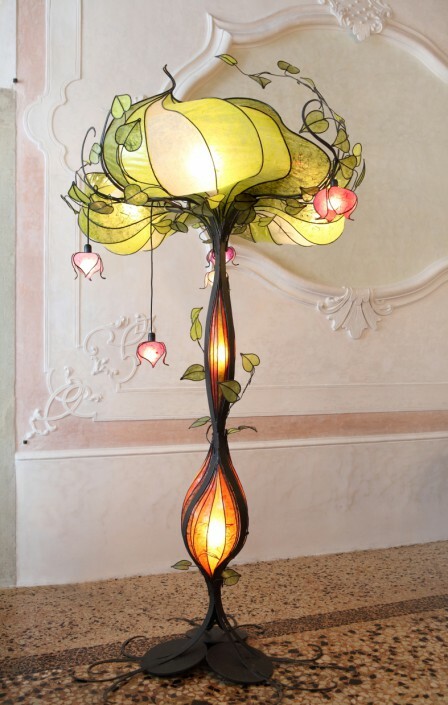 Tree of light, floor lamp. 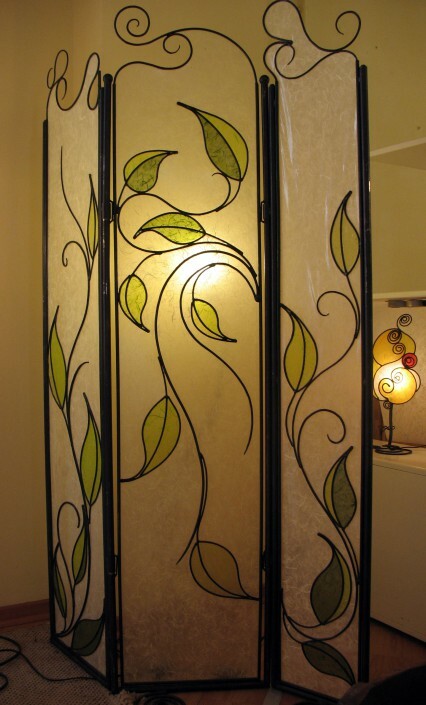 Tree, floor lamp and folding screen. 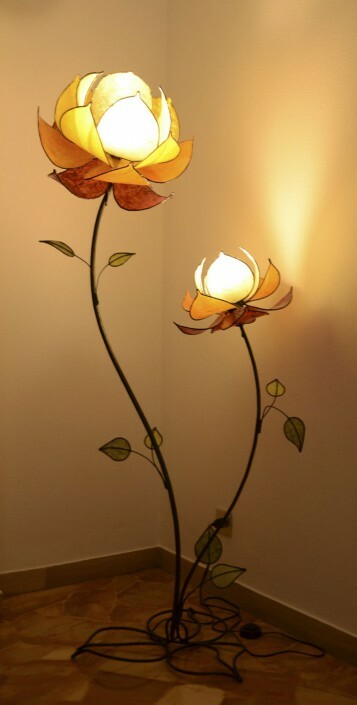 Floor lamp with flower bud. 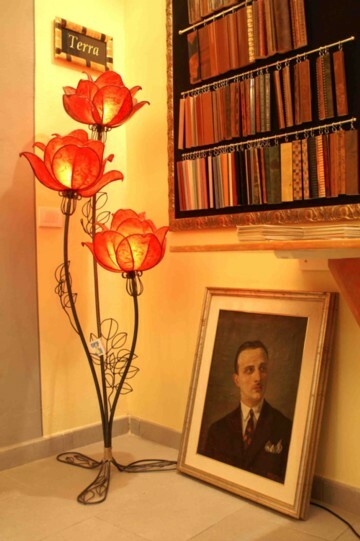 Applique with two lotus flowers. 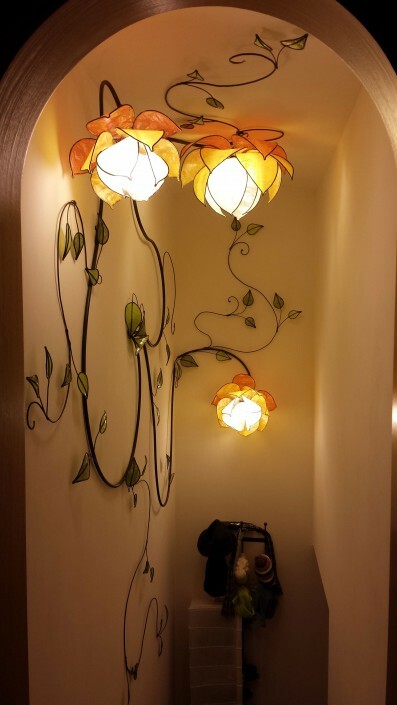 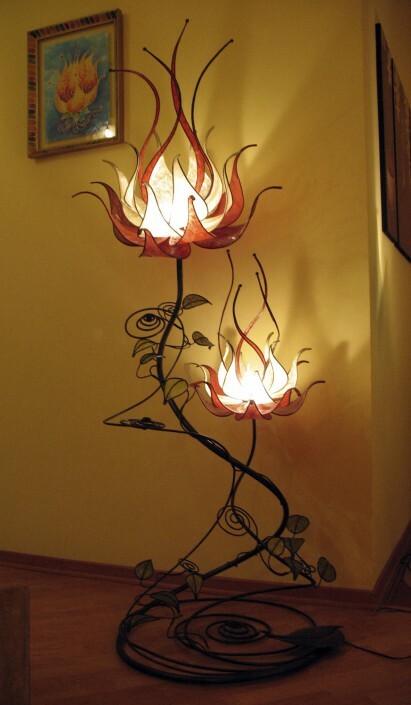 Wall lamp, Branch with three lotus flowers. 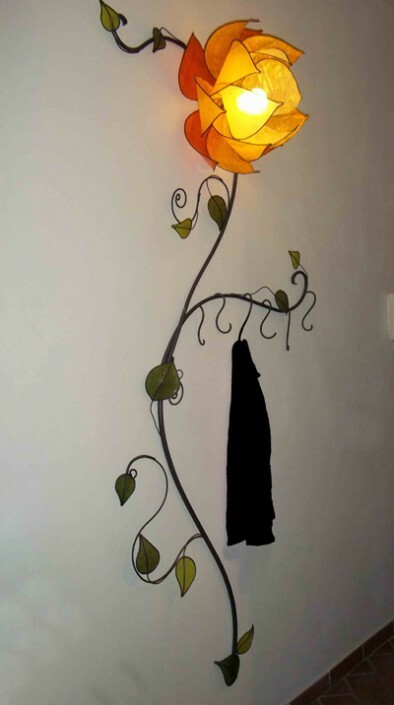 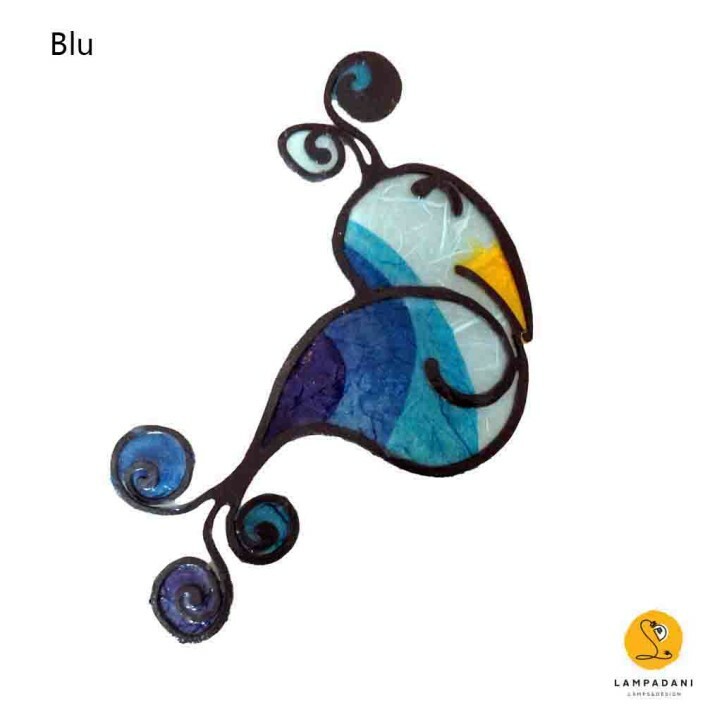 Climber with flowers “Luma” wall lamp. 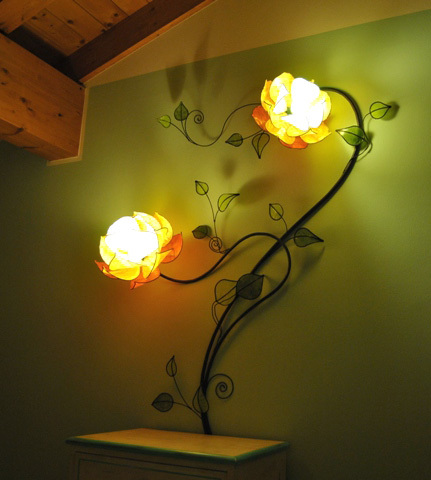 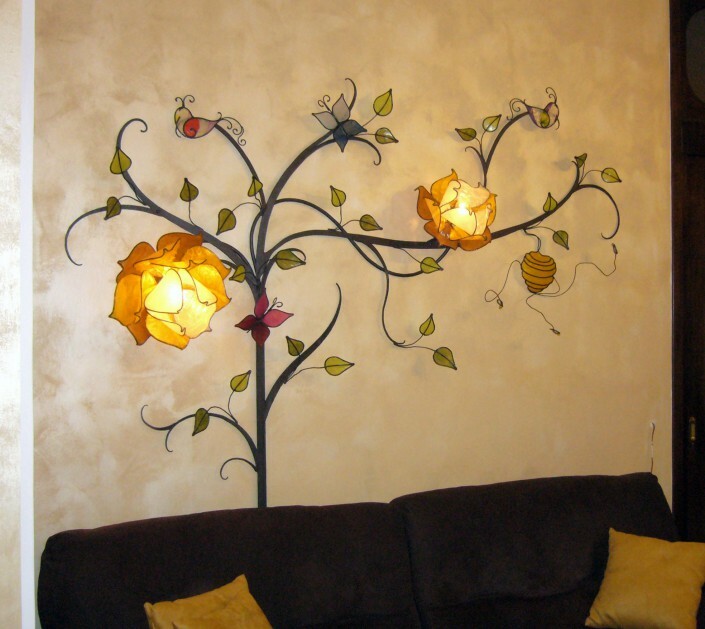 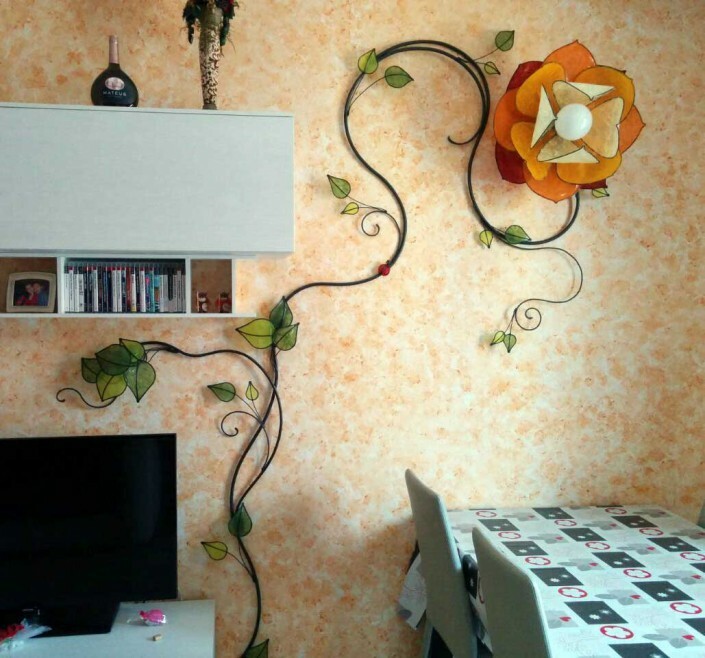 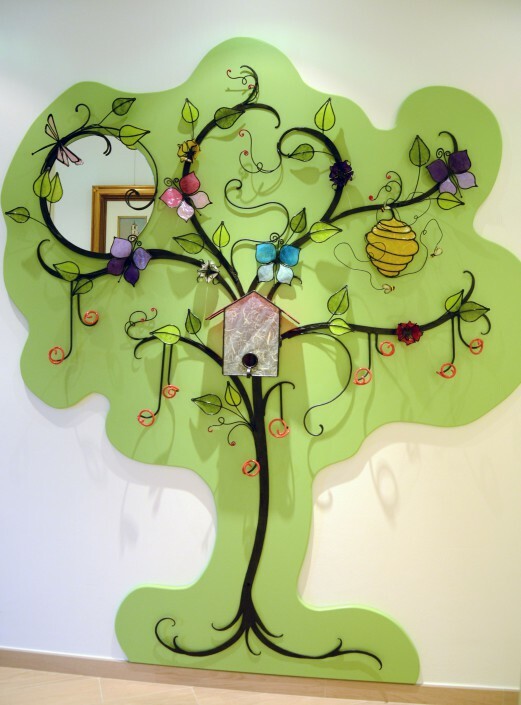 Tree with lotus flowers, wall lamp. 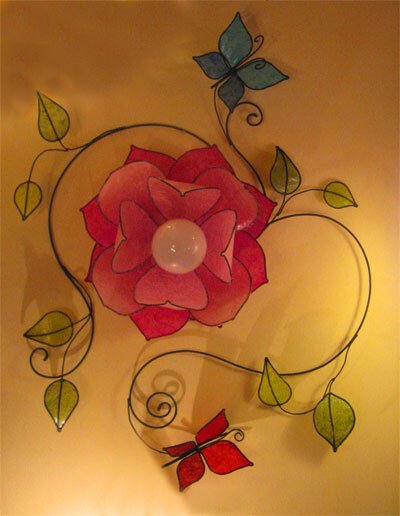 Ceiling with Lotus flower, leaves and butterflies. 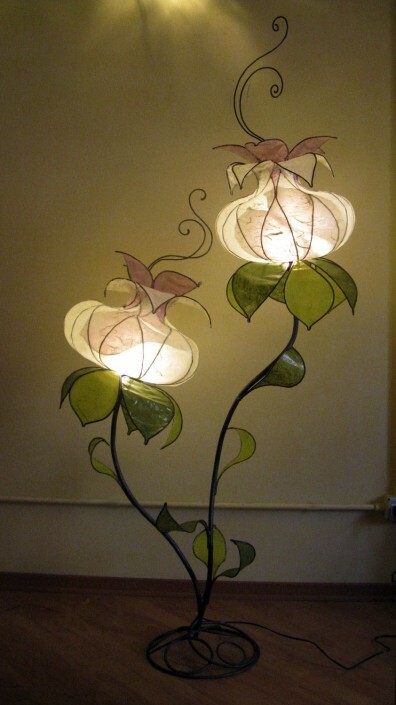 Wall lamp, branch of roses. 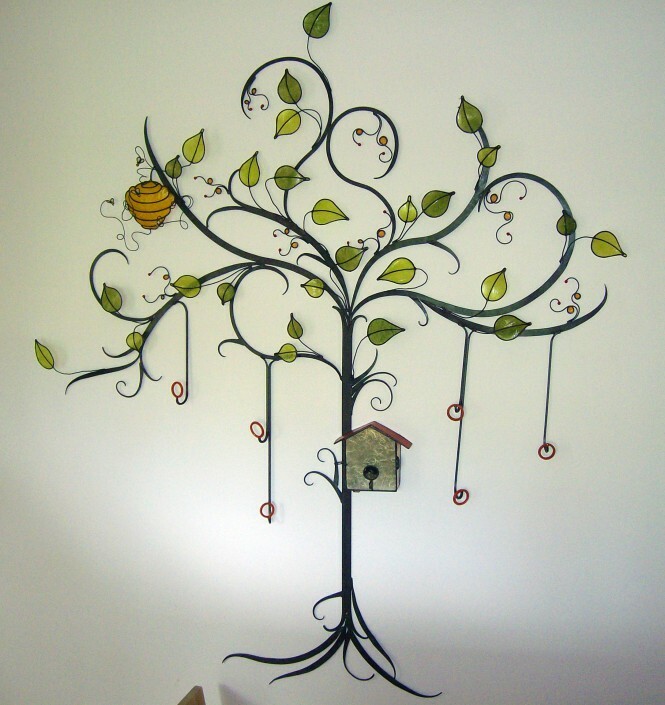 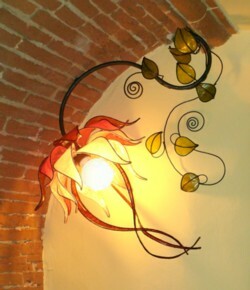 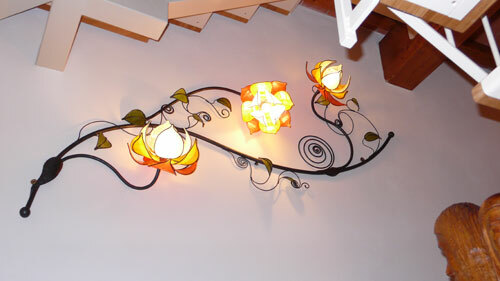 Wall lamp, climbing branch with 5 points light. 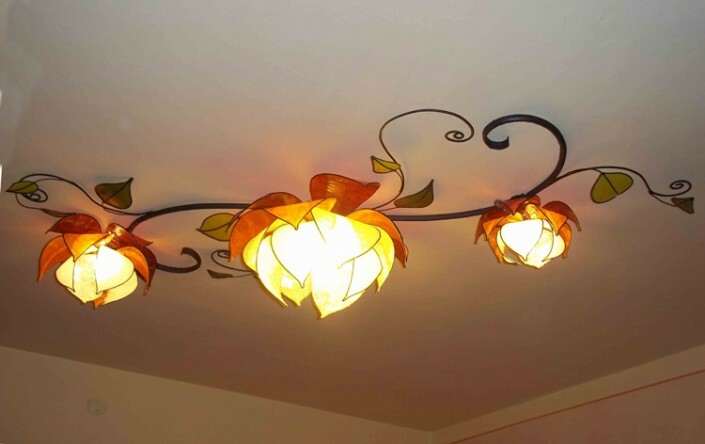 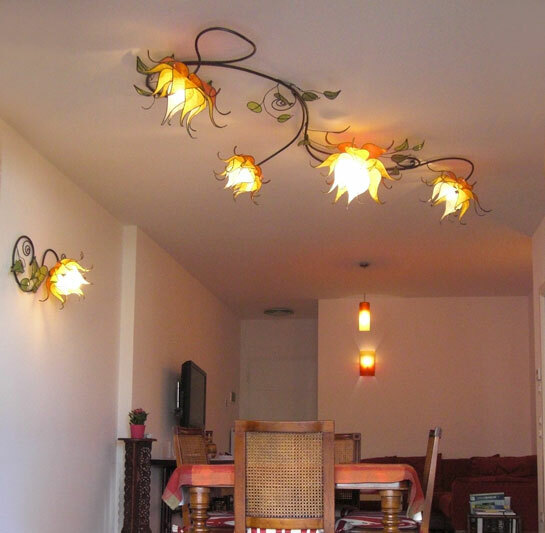 Ceiling lamp, flower with three leveling spotlights. 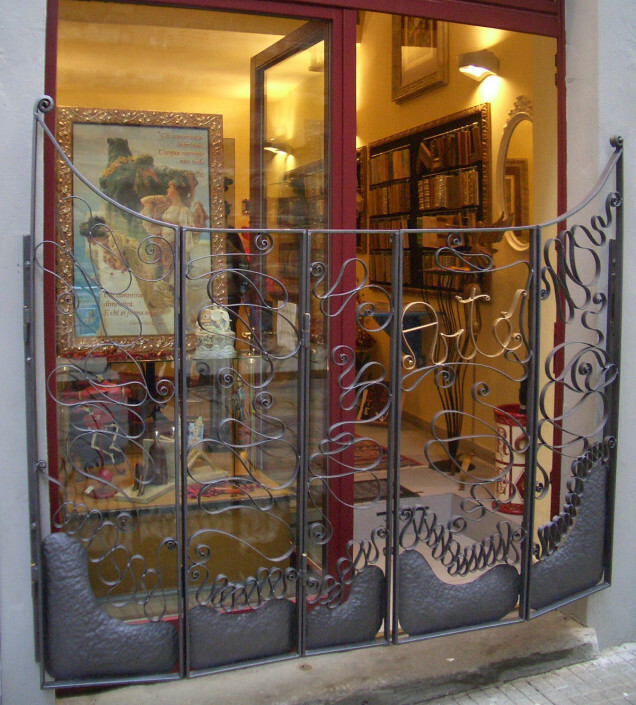 Wrought iron gate with 5 doors. 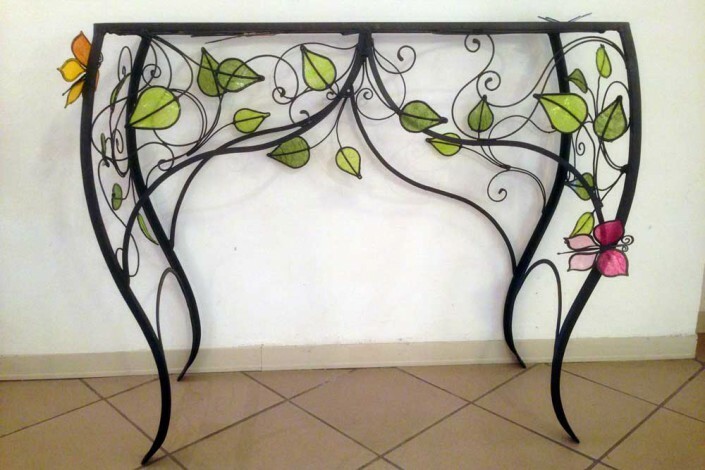 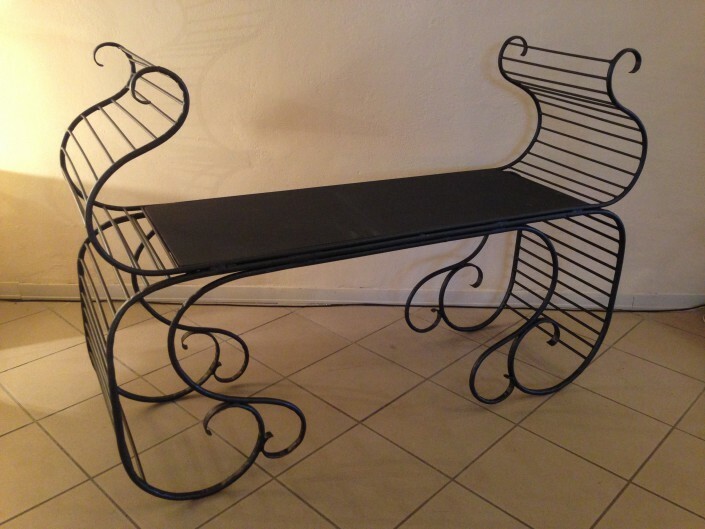 Console in wrought iron with accommodation for glass shelf and decorations in mulberry paper. 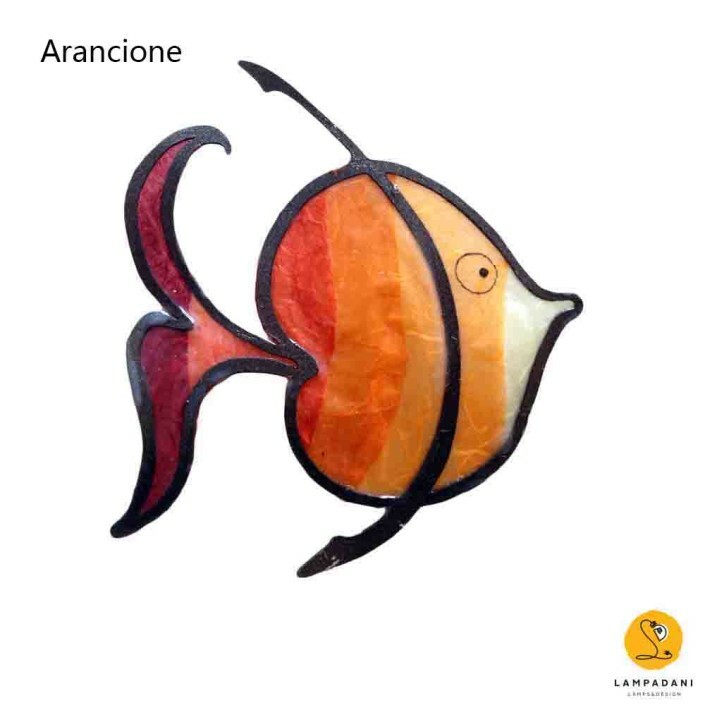 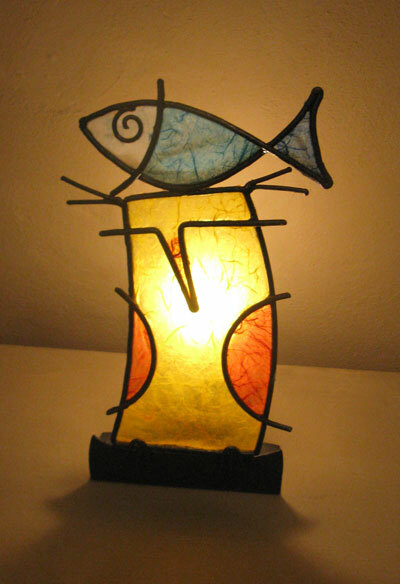 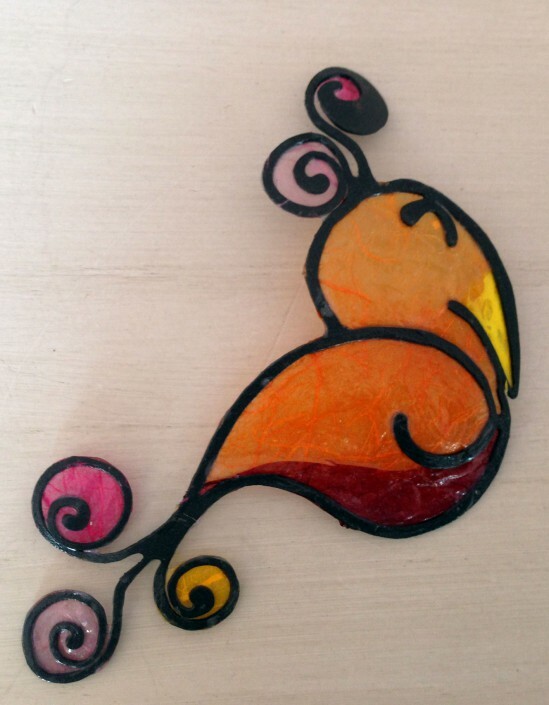 Yellow Whale – Magnetic decoration fish shaped.